What hostess or new mother wouldn't want to receive one of these? 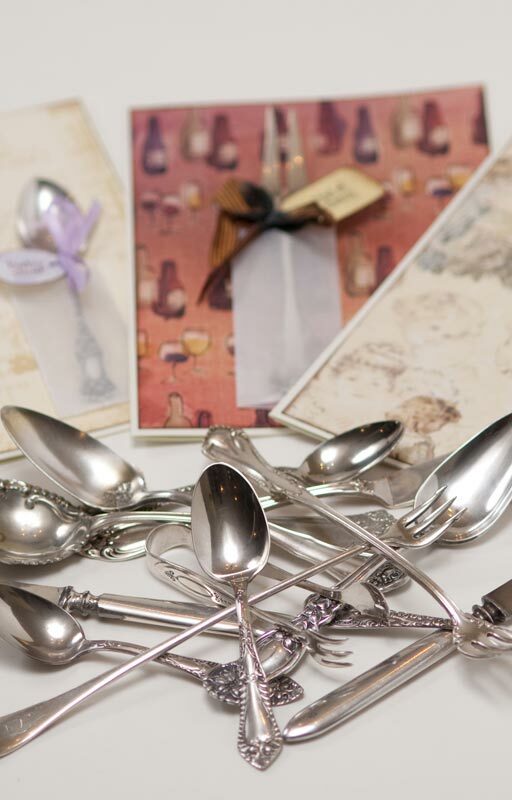 Each unique card can hold an antique olive or pickle fork, butter spreader, demitasse, sugar, nut, jelly or baby spoon and all can be removed for use. 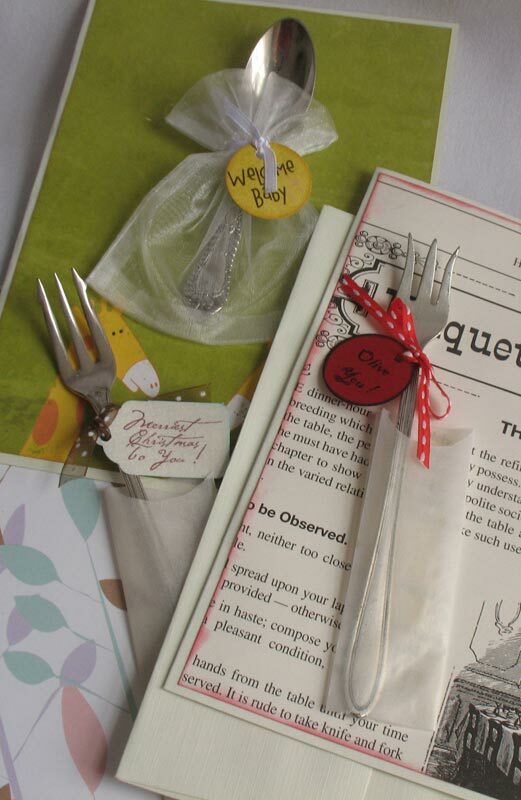 Pair a card with your homemade pickles or jam, or a sweet baby layette item and you’ll have the perfect gift! Available in 5 x 7 size.